Electricity is extremely useful; it’s hard to imagine life without it. Unfortunately, the same utility we use to power our homes was also the cause of more than 1,600 work-related injuries in 2016. Electric shock injuries can lead to muscle spasms, electrical burns, bone fractures, and even respiratory arrest. In the worst scenarios, getting electrocuted can result in death. According to the Electrical Safety Foundation International (ESFI), more than half of all fatal electric shocks occur in the construction industry, though any employee who works around electricity is at risk for injury. If you are electrocuted on the job, you can file an electric shock claim to receive workers’ compensation benefits. This means your employer will pay for all medical bills related to your electric shock injury as well as a portion of your lost income while you’re unable to work. To claim these benefits, you must follow specific protocol and file the right forms on time. A workers’ compensation attorney can guide you through the process to ensure you get the maximum payments you’re entitled to. The days and weeks following an electric shock injury can be confusing and emotional. If you’re not sure where to turn, call the workers’ compensation attorneys at the Law Office of Gerald D. Brody & Associates. We can help you navigate the complex legal system and make sure you file the right forms on time to receive maximum compensation for your injuries. Contact us today at (619) 528-9800 to schedule your free consultation. What is an electric shock injury? An electric shock injury happens when a person’s body becomes part of an electric circuit. Electricity flows between parts of the person’s body or through the body to the ground. The effect of an electric shock can be as mild as a slight tingling feeling or as severe as cardiac arrest. Symptoms of an electric shock injury depend on the amount of current flowing through the body, the path through the body, the length of time the body remains in the circuit, and the current’s frequency. Electricity can cause injury in four ways. Burns are the most common type of electric shock injury, and an electric burn is the most serious. It generates heat in the body and can cause muscle, nerve, or tissue damage that requires immediate medical attention. 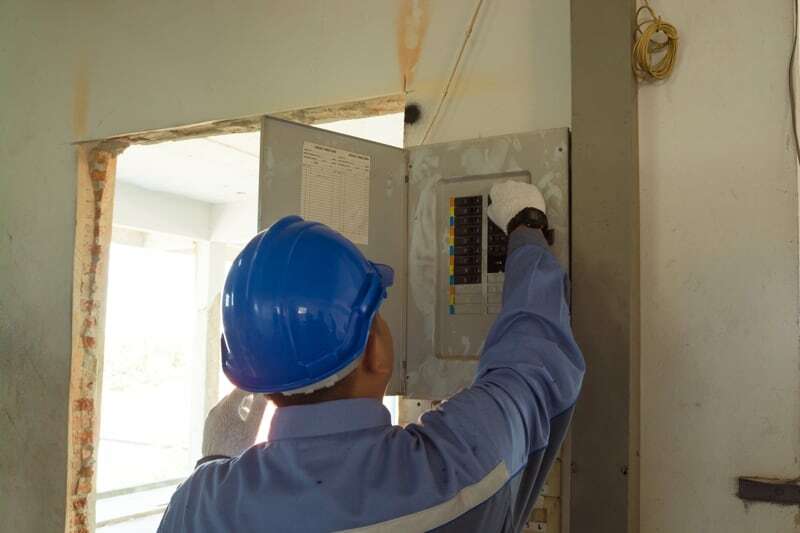 A worker can also suffer a thermal burn by making contact with the electrical source. If a worker receives an electric shock while working on an elevated platform, he or she might fall and suffer a broken bone. The most serious electrical shock injury is cardiac arrest. If you suffer an electric shock injury at work, the most important thing to do is to seek medical treatment. Getting electrocuted can have immediate and severe consequences, including damage to the nervous system. As soon as you’re able, notify your supervisor of your accident. In California, you have 30 days from the date of an electric shock injury to report the incident and submit a workers’ compensation claim, though it’s best to do this as soon as possible. Waiting to report your injury could make it appear less serious than it is, potentially delaying or reducing your benefits. It’s also wise to gather witnesses who saw the electric shock accident occur and who can testify if necessary. Write down exactly what happened before, during, and after you were electrocuted including the severity of your symptoms. This is also a good time to contact a workers’ compensation attorney who can help you file an electric shock claim. In addition to notifying your supervisor of your electric shock injury, you must file a DWC-1 claim form. If your employer doesn’t provide you with one, you can download a copy from the State of California Department of Industrial Relations website. You will also need to file an Application for Adjudication of Claim, a Declaration Pursuant to Labor Code 4906(g), as well as a cover sheet for all of the forms you’ll submit to the Workers’ Compensation Appeals Board. The insurance company must respond to your claim within 14 days. If your electric shock claim is approved, you’ll begin receiving temporary disability payments equal to two-thirds of your normal weekly wage. If the electric shock injury left you with lasting limitations as determined by your doctor, you will receive permanent disability payments. Regardless of the severity of your symptoms, you will receive payment for all reasonable medical expenses related to your injury.